This tune charted at 4 on the Japanese charts. The ending theme, Don't Say "Lazy", reached number 2. The anime's first season, which ran last year, was produced by Kyoto Prefecture-based Kyoto Animation, the same studio behind the Haruhi Suzumiya anime adaptation. In a message on the show's website, the news that a game version is forthcoming has been revealed. 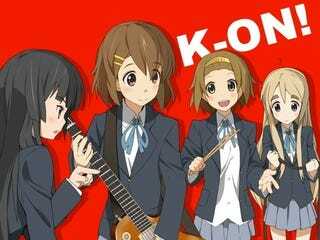 It is noted that fans have been requesting a K-On! game. Details are scant, but the title will be published by Sega. Still unconfirmed, but smart money says the title with either be a music game or have music mini-game elements.